In the course of three successive weeks, UMG is expected to unleash three superstar releases: Sam Smith (11/3) on Steve Barnett's Capitol, Big Machine's Taylor Swift (11/10) and, if the very loud chatter is to be believed, Shady/Aftermath/Interscope's Eminem (11/17). Eminem's birthday is today (Oct. 17), and to celebrate the Midwestern rapper who overcame a rocky childhood to become one of rap's biggest international sensations, we're taking a look at his 30 biggest hits on the Billboard Hot 100. He may go by a handful of names -- Eminem, Marshall Mathers, Slim Shady -- but the rapper/producer/actor has never shied away from being himself, and only himself, sharing his trials and tribulations in his music with fans since stepping up to the mic in his teens. Along the way, the man from 8 Mile has earned seven Billboard 200 No. 1s, five Hot 100 No. 1s, countless of awards, and respect from just about everyone in hip-hop. Help us wish Eminem a happy birthday by checking out the ranking of his hugest hits below, and use the comments section to share your favorite Eminem songs. This chart is based on actual performance on the weekly Billboard Hot 100. Songs are ranked based on an inverse point system, with weeks at No. 1 earning the greatest value and weeks at No. 100 earning the least. Due to changes in chart methodology over the years, eras are weighted to account for different chart turnover rates over various periods. Em and Tip share a connection that goes beyond respect for each other's artistry. Both artists have supported each other throughout their careers and personal struggles. "That's All She Wrote," came four years after their first collaborative track, "Touchdown," off T.I. 's T.I. vs T.I.P. Em's first single off Shady Records compilation Eminem Presents: The Re-Up went straight to the Hot 100 top 15. In celebration of the Shady Records camaraderie, the video for the single included cameos by Tony Yayo, The Alchmesit, Young Buck, D12, Bobby Creekwater, Obie Trice, Mobb Deep, Trick Trick, Dr. Dre and Stat Quo. From his debut single, "My Name Is," Eminem came out the gate spitting witty, brutally honest rhymes and the video pulled together tough-but-funny visuals to match. Although it didn't reach as high on the Hot 100 as some of Eminem's other tracks, "Stan" is certainly one of his most influential songs. Em' intricately tells of himself through a disturbing story of an obsessed fan. Not only a milestone in Em's discography, "Stan" was given new life when he performed the song alongside Elton John during the 2001 Grammy Awards. Eminem rarely held back on rhyming about harsh realities. On the "Encore" single, he chronicles the feuds he and his camp, including 50, had taken on through out their careers and the devastating outcomes. Unfortunately, Proof, who plays Bugz, the man shot and killed in the video, was also shot and killed one year after the video debuted. One of the first tastes of The Marshall Mathers LP 2, "Survival" was originally released as part of a campaign for the video game Call of Duty: Ghosts. True to the game's action-packed content, the track hosts an explosive set of guitars over Em's venom-filled verses. Thanks to gravitas of Eminem's presence and Weezy's ominous chorus, "Drop the World," produced by Hit-Boy and Chase N. Cashe, is one of "Rebirth's" brightest songs. The "Encore" title track is another peek into the camaraderie between Eminem, Dr. Dre and 50 Cent, oh, and attempt to hype fans for the long-in-the-works arrival of Dre's "Detox." "And don't worry about that Detox album/ It's comin', we gonna make Dre do it," Em closes the track. Both high-profile rappers spit rapid "f*ck you" rhymes to their haters over a revamped sample of Haddaway's "What Is Love," courtesy of Just Blaze. The "Relapse" single, which samples Walter Egan's "Hot Summer Nights," features Eminem throwing shots at pop culture over a carnival friendly, Dr. Dre, Doc Ish, Em produced beat. Eminem and Dre both take advantage of "Forgot About Dre," off "2001," to remind doubtful critics of the veteran rapper's legacy and continuous success. Slim Shady gives us a sneak peek into his prolific love life in the "The Eminem Show" single. "Superman," which is appropriately slower tempo, was reportedly inspired by onetime-flame Mariah Carey. "Sing For The Moment," which samples Aerosmith's "Dream On," touches on a familiar subject for Eminem ("The Way I Am"): misunderstanding. Em digs deeper into his thesis that music is not the cause of violence amongst young people. Hope you've got strong lungs if you tackle this one at karaoke. Eminem blazes through a reported 1,560 words in just nearly six minutes and for his effort, the Rap God was entered into the Guinness Book of World Records for the most words in one song. "Now show them that you love them more than us," Eminem rhymes in the emotional "When I'm Gone." Eminem sheds light into the strain his celebrity status has had on his family, especially his baby girl Hailie. Marshall Mathers' vulnerability rocketed him to the top 10 of the Hot 100. Eminem laces the familiar "Hush, Little Baby" lullaby with an apology to his daughter Hailie for being absent at times in her life and the failing relationship between himself and her mother, Kim. Eminem's song is strengthened by a video that includes a montage of home videos of Mathers and his family. This Beastie Boys and Billy Squier-sampling single is a throwback cut, recalling '80s-era boom-bap rap. So it only makes sense that Rick Rubin—one of the forefathers of Def Jam Records—produced it for Em’s album The Marshall Mathers LP 2. "Shake That" features Nate Dogg and Em, on their sixth collaboration, taking a lyrical stab at the art of seduction. "Shake That" was nominated for a "Best Rap/Sung Collaboration" Grammy Award. The respect and loyalty between Dre and Eminem is in full view on the Alex da Kid produced "I Need A Doctor." Singer Skylar Grey told San Francisco's WiLD 94.9 that Em's lyrics, which he recorded in two hours after presented with the hook, brought her to tears. "Crack A Bottle" not only marked the return of the Shady trifecta -- 50 Cent, Eminem, and Dr. Dre -- it also placed the rappers at the top of the Hot 100 for the first time together. The "Relapse" single had the additional honor of earning 50, Em and Dre a Best Rap Performance by a Duo or Group Grammy. Originally only headed for the soundtrack to LeBron James' "More Than A Game," the Boi-1da produced posse cut made its way to the re-release of Eminem's "Relapse," "Relapse: Refill." "Forever," which Jay-Z told MTV was the best collaborative track of 2009, peaked at No. 2 on the R&B/Hip-Hop Songs and No. 1 on Rap Songs. "I get a little out of control with my rhymes," Shady says on the first single off "Encore." And he surely does on "Just Lose It." The rapper throws not-so subtle shots at Michael Jackson which angered the King of Pop. "I am very angry at Eminem's depiction of me in his video," Jackson said to Steve Harvey a week after the song's video was released. "I feel that it is outrageous and disrespectful. It is one thing to spoof, but it is another to be demeaning and insensitive." Despite doubt he could top "My Name Is" with another hit, Eminem exceeded expectations and brought home his first Hot 100 top five with "The Real Slim Shady." The Dr. Dre, Mel-Man produced track stirred controversy (surprise, surprise) as it poked fun at pop stars and their "sugar-coated" songs. Em, brought the song's lyrics to life, when he performed it at the 2000 MTV VMAs with an army of look-a-likes behind him. Two years after the success of "The Real Slim Shady," Eminem found his way back to the Hot 100 top five by cleaning out the skeletons from his closet. On "The Eminem Show" single, the rapper reminisces on his troubled youth and the animosity he holds towards his mother. In 2010, Eminen re-introduced himself as a sober, stronger man. The rapper displayed his strength and hope on the first single of his seventh studio album, "Recovery." With a powerful chorus, which is backed by a choir, Eminem's song was a chart triumph as well: "Not Afraid" marked Eminem's third Hot 100 No. 1. A superman rap game, Eminem's "Without Me" -- which features a playful saxophone riff -- peaked at No. 2 on the Hot 100. For their next act - and fourth collab together - Eminem and Rihanna take different paths: she comes to grips with her inner demons while he assesses the ups and downs of superstardom. As usual, the chemistry is instant from the two superstars who have too often had to address personal troubles in a very public sphere. You can't deny Akon has an ear for a hit and among his club-friendly favorites is "Smack That." The "Konvicted" single, featuring Eminem, shot up from No. 95 to No. 7 on the Hot 100 chart in one week before peaking just shy of the top spot. Eminem and Rihanna touch on the heavy subject of domestic abuse with sincere emotion. The mid-tempo track takes a look into the minds of both the abuser and the victim. "Love the Way You Lie" held on to No. 1 on the Hot 100 for seven consecutive weeks and was Em's second No. 1 from Billboard 200 No. 1 Recovery. What better way to crown the success of famed hip-hop film, "8 Mile," than with a Hot 100 No. 1? While on the set of "8 Mile," Em' crafted a cut that would empower many to face their fears and seize the moment. The soundtrack's single stayed steady at No. 1 for 12 consecutive weeks. And to top it off, "Lose Yourself" was the first rap song to ever win an Oscar for Best Original Song. The rapper re-enters at No. 3, his highest rank since December 2013. Thanks to Eminem’s gone-viral cypher on the BET Hip-Hop Awards (Oct. 10), the rapper re-enters Billboard’s Social 50 chart dated Oct. 28 at No. 3 -- his highest rank since December 2013. The Social 50 is powered by data tracked by music analytics company Next Big Sound and ranks the most popular artists on Facebook, Twitter, Instagram, YouTube, Wikipedia and Tumblr. The chart's methodology blends weekly additions of friends/fans/followers along with artist page views and engagement. The chart’s latest tracking week ended Oct. 12. Eminem earns substantial gains in all social metrics (from miniscule amounts the week before, mostly due to a lack of posts) following his President Donald Trump-blasting performance on the BET Hip-Hop Awards, including 3.3 million Instagram reactions and 1.2 million Twitter mentions in the week ending Oct. 12, according to Next Big Sound. In the cypher, Eminem pointedly criticized Trump, and told off any of his fans who supported the president. The rapper was last in the top three on the Social 50 back on the Dec. 14, 2013-dated chart, when he ranked at No. 2 for a fourth straight week (his peak on the list). The freestyle also kicked into gear rumors of a new album, which would be his eighth studio effort and first since 2013’s The Marshall Mathers LP 2, though nothing has been officially announced. — Eminem, Recovery – No. 160 — Eminem becomes the first act to see three of his albums each spend at least 300 weeks on the chart, as his 2010 album Recovery collects its 300th week on the list (165-160). Both Curtain Call: The Hits (363 weeks, released in 2005) and The Eminem Show (342 weeks, released in 2002) have also reached the threshold. It has another version just outside the top 20 at #22 with 0.1721. Think it'll at least debut in the top 10 on the Hot100 and UK Official Singles charts on Friday? As a chart battle ensued, it was a very close race, and in the end, it was Eminem who nabbed the top spot, edging Destiny's Child into second place by just over 1,000 copies. To date, Just Lose It has sold 292,000 copies and notched up 8.49 million streams, while Lose My Breath has shifted 358,000 copies and racked up 5.2m plays on streaming services. 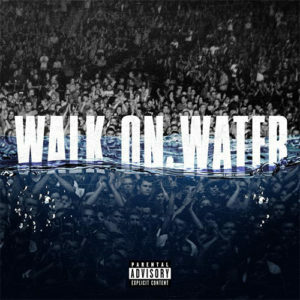 Over on the Singles chart, Eminem makes his triumphant return with Walk On Water (ft. Beyoncé), which should debut in the top 15. Just a casual week for Eminem.